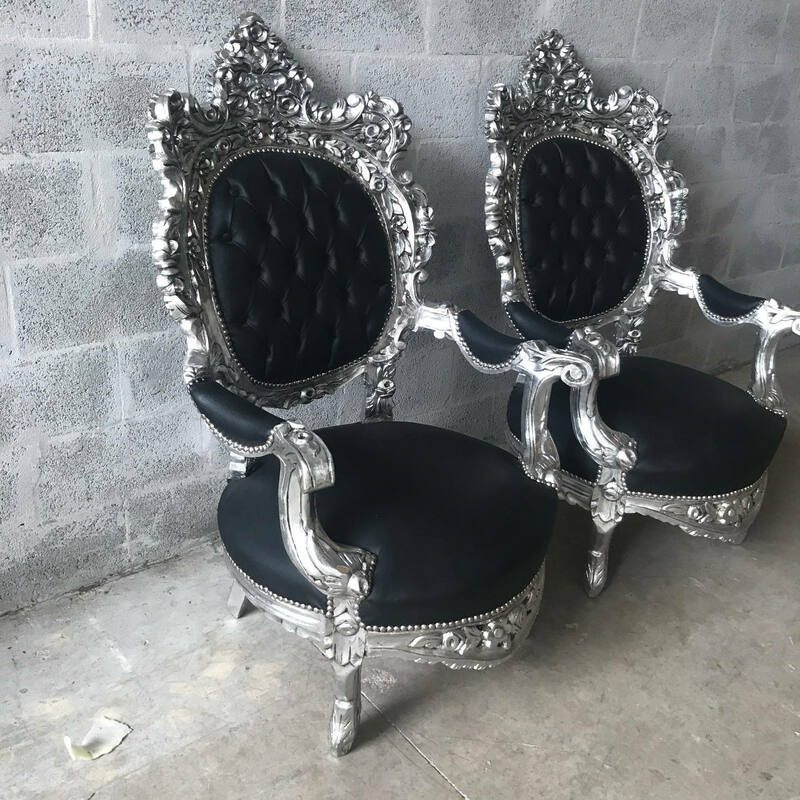 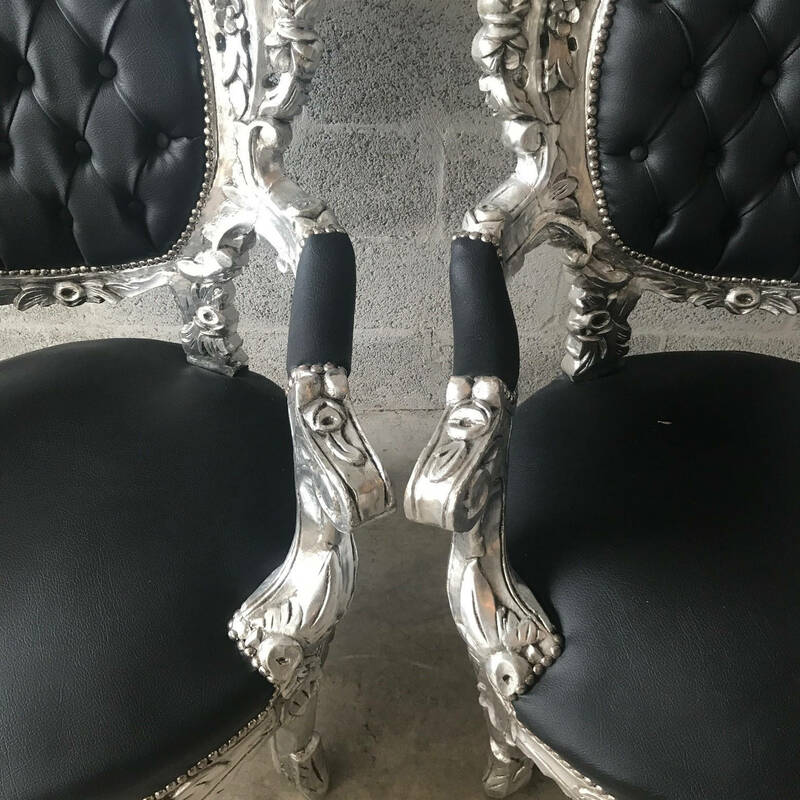 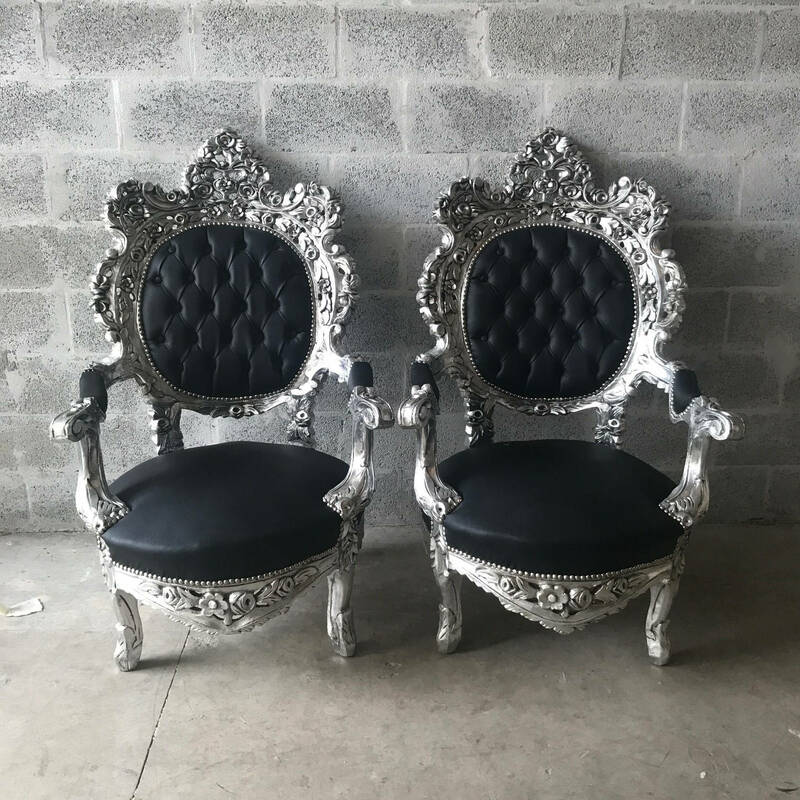 Italian Throne Chairs 2 available refinished in silver leaf and tufted in black leather. 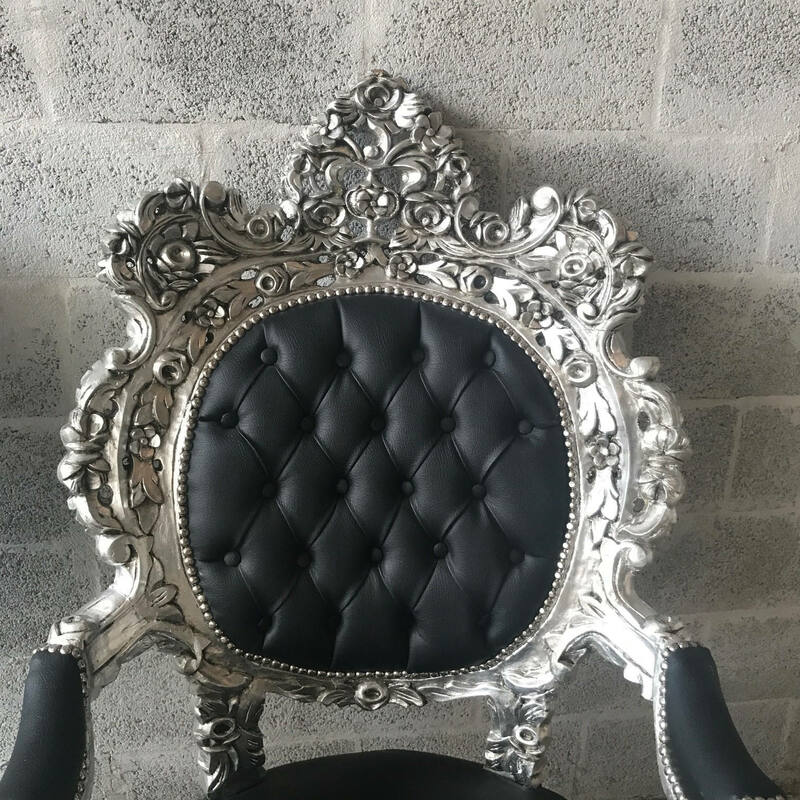 Trim was finished in silver nail heads. 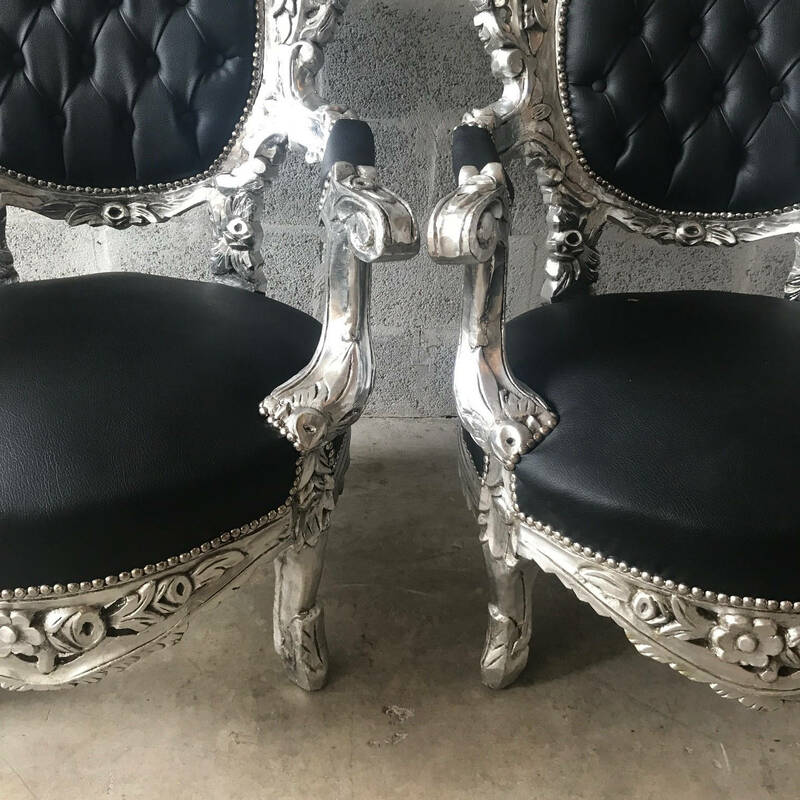 This is a classic and comfortable chair ready for everyday use. 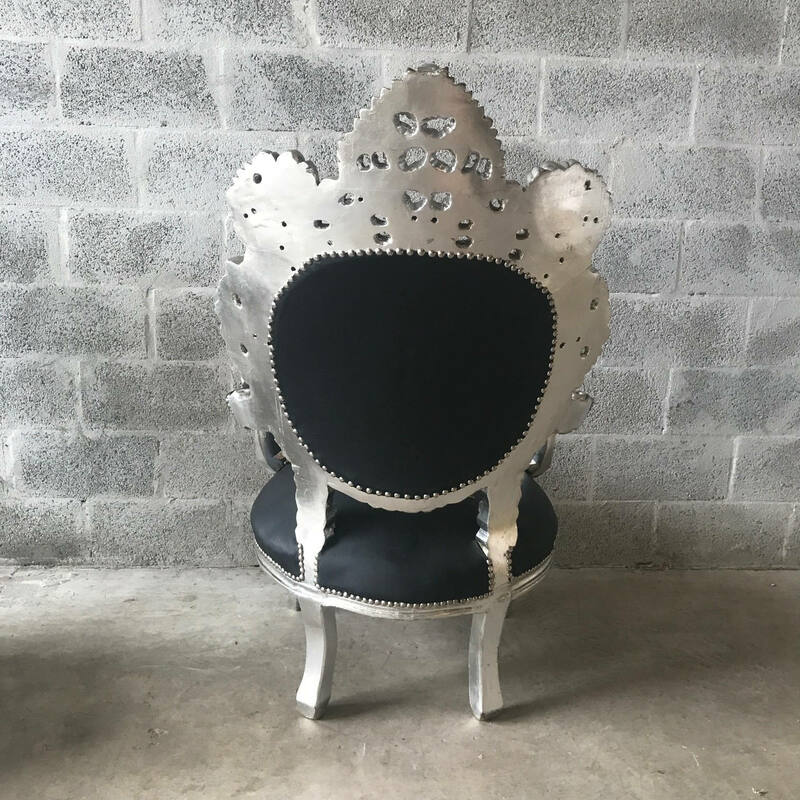 Dimension Chair: 51"H x 34"W x 36"D. Floor to seat 17.5"